Disruptor Beam, the company that brings together fan communities and games, in partnership with HBO Global Licensing has today announced that Game of Thrones Ascent is now available on Apple iPad devices! First released online via Facebook, Kongregate and DisruptorBeam.com in 2013, iPad users can now enjoy the first ever social game based on the award-winning HBO® show and literary works of George R.R. Martin. Players can lead the life of a noble of Westeros, playing with (or against) each other while swindling with the swipe of a finger in a persistent, authentic world. Download the iPad® version in the App Store starting today. With Game of Thrones Ascent, fans can immerse themselves beyond the books and show and actually live the life of a noble during a time of upheaval within Westeros. 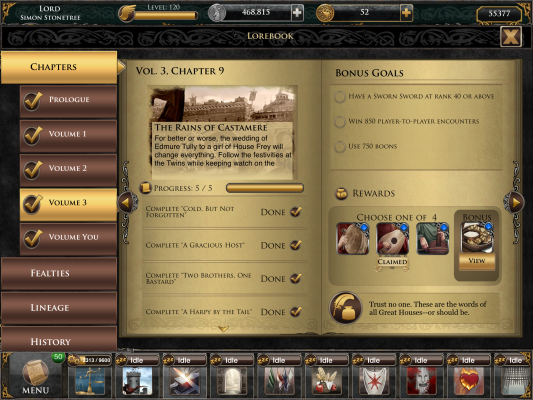 Taking part in thousands of story-driven quests, players delve deeply into the lore and develop their own lands and reputation among the Great Houses. Players explore an expansive world filled with deep political and social play involving diplomatic agreements, pacts, marriages, and betrothals. Through Alliance challenges, players work with hundreds of others to accomplish great tasks and rise to the top of the Power Rankings. 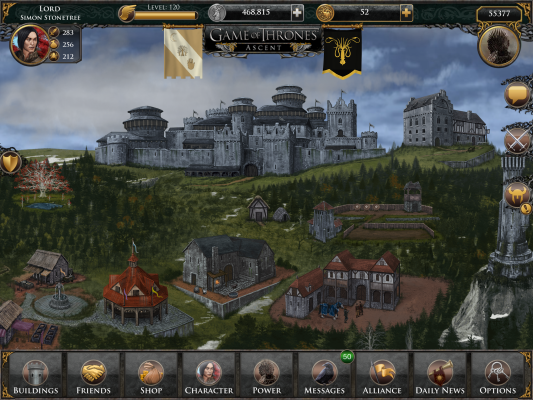 Game of Thrones Ascent for iPad takes full advantage of iPad device features, including enhanced art and optimized imagery for Retina displays, as well as “Game Center” leaderboards, and iOS 7 compatibility and support. A newly designed user interface and improved user flow now provides fans with a mobile optimized Game of Thrones social gaming experience. Since the game’s initial online launch in spring 2013, Disruptor Beam has added numerous content updates and improvements to the game, all while the series’ storyline progresses. These updates will continue leading into the debut of Season 4 of the show on April 6th, 2014 in the U.S. both online and in the iPad version. Game of Thrones Ascent will also continue to be rolled out on additional mobile platforms, including Android, in the near future. Gravity Interactive has announced a new event for players of Ragnarok Online.